If you don’t like super hero movies, that’s your business. But if you don’t like Marvel movies? Well, I’m not sure what I can do for you. The Marvel Cinematic Universe has been spectacular movie-going fun, and even the lesser Marvel films are as good as anything of that type of entertainment that’s ever been produced. I loved The Avengers, and I’m all in on Avengers: Age of Ultron, and the more trailers I see, the more excited I get. Marvel has released a third trailer for Avengers: Age of Ultron, and it’s chock full of awesome stuff. Take a look below, and be prepared to play a game of spot the Easter eggs. Our first good view of Quicksilver and Scarlet Witch? 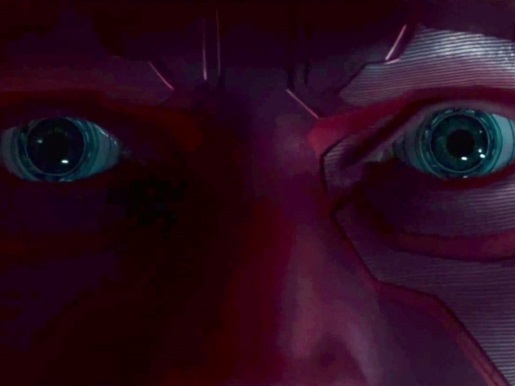 Check, that awesome closeup of Vision’s eyes? Check. A potential Black Widow/Bruce Banner kiss? Check. Iron Man picking up Loki’s staff? Check. Lots of evil robots fighting our Avengers friends? You know it!